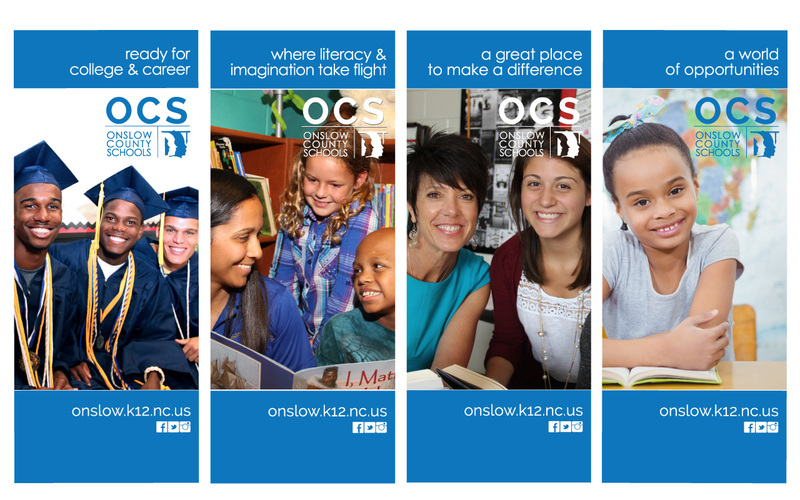 Onslow County Schools (OCS) is a model in North Carolina and across the nation for innovative collaborations and programs. In the constant pursuit of excellence for students, schools, and teachers, one thing had not changed – the brand. The challenge: bring the branding to a modern feel, but keep the legacy element of the student faces. Mission accomplished. 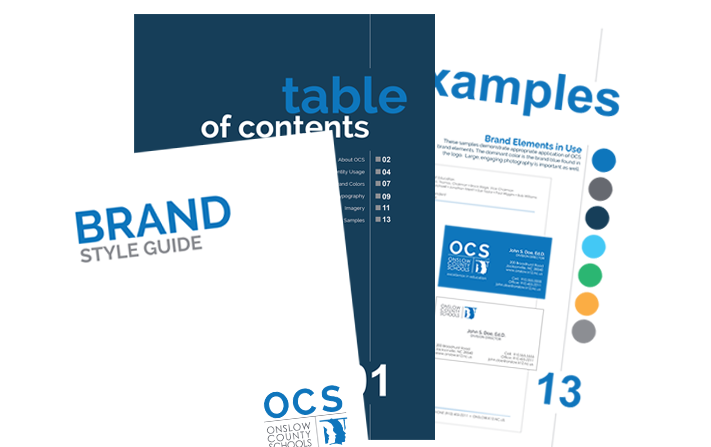 After completing a Brand Audit, our team worked with OCS to update their brand image and created a school-system-wide style guide to ensure uniformity of the central office brand along with guidelines applicable at the school level. 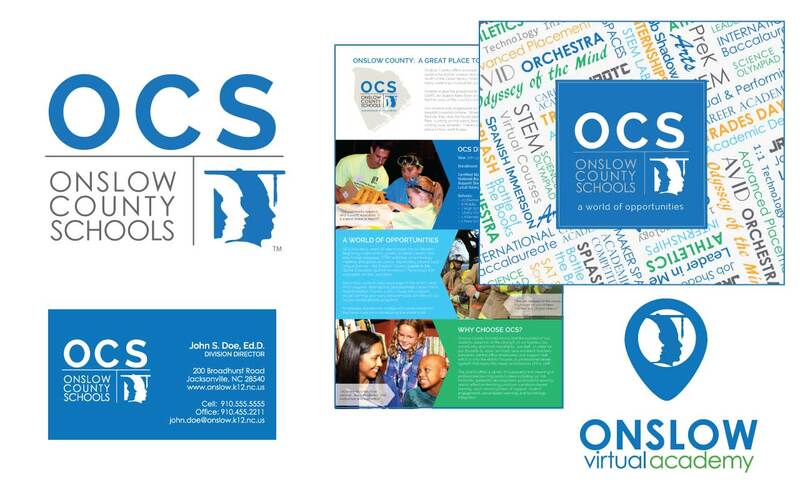 In conjunction with the branding effort, new banners, brochures, slide templates, and more were created for the school system’s internal and external use.